How smooth is the action of your bike’s chain? Is it stiff and slow or does it move easily? If you haven’t lubricated your bike’s chain properly, you are in for a lot of frustration – the chain won’t move as well as it is such and might seize up or snap. 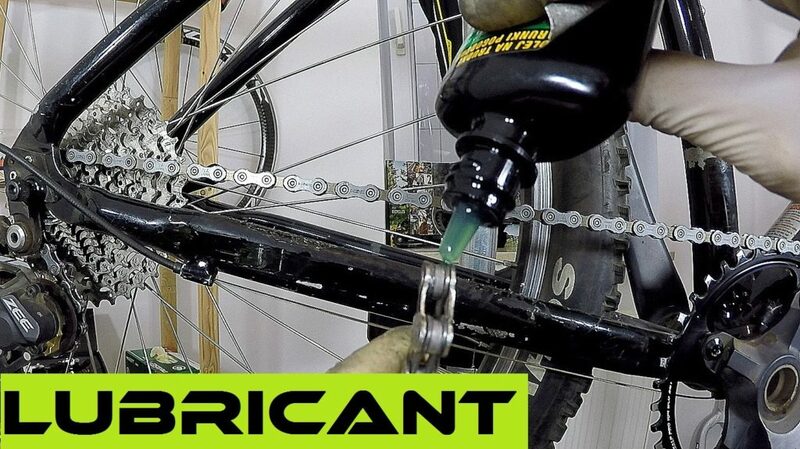 A regular application of lubricant will prolong the life of your chain. Knowing how important lube is for your bike, we decided to do a roundup of the top three chain lubes to help you keep your bike in tip top shape. This option has a fair price point, and it worked okay, but we felt that it needed to be reapplied too often. Thanks to the added Teflon fluoropolymer, Finish Line's Dry Lube minimizes pedaling friction, repels moisture, and withstands rides up to 100 miles. Dry Lube is especially recommended for riding on or off-road in dry, dirty, dusty environments, yet it holds up well in moderately wet conditions. An extremely versatile lubricant and a perfect choice for many road and off-road cyclist. Dry Lube can also be used on derailleurs, shifters, cables, and brake pivot points. Reduces wear on sliding and rolling surfaces, and easily penetrates chain bushings, quickly coats derailleur, brake and shifter pivots. This option by Finish Line is a dry lube and ideal for very dusty conditions, think MTB trails in Texas, Florida and California. Users commented on how well this product works and how it really does seem to help keep dirt and dust at bay. You do have to be a little more careful when dispensing this product as it does tend to come out a little faster than the thicker lubes. Once you get the hang of it, though, dispensing becomes a lot easier. This product has a unique value proposition – when dry it leaves a wax film in place. If dirt gets into the chain, the wax is activated and starts to drop off. Some of those using this product said that application was a lot more precise than with an aerosol can. They loved this because it meant less waste and fuss. Something to think about, though, is that you might need to apply more often than a normal lube because of the formulation. However, in this case, it is worth a little bit of extra effort because your chain is kept a lot cleaner and lasts longer as a result. • The dirtier your bike gets, the more often you need to reapply it. This is one hard-working product. It helps to keep the chain clean and lubricated at the same time. Users commented on how easy it was to apply and that there were many other potential applications as well, like to oil a sewing machine or lock. This can be messy to use, and it will drip on the floor when applied. You can overcome this easily enough by putting some newspaper down when applying and wiping of the excess when done. • Will drip through to the floor when applied. My top picks all perform admirably and are guaranteed to keep your wheels turning for longer.